OTTAWA — Travellers, immigration detainees and others who feel mistreated by Canada’s border agency will be able to complain to an independent body under a new measure included in the federal budget. The border agency has also come under pressure to be more forthcoming about its role in immigration detentions following people’s deaths in its custody — 14 of them since 2000, according to a compilation of reports by the B.C. Civil Liberties Association. Public Safety Minister Ralph Goodale said Wednesday the government wants to move quickly on establishing the revamped agency to “fill a gap” in federal public-safety operations and bolster accountability. 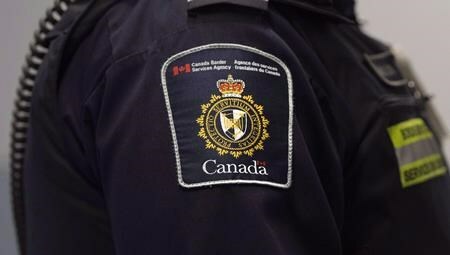 The border agency’s thousands of employees manage the flow of about 100 million travellers — as well as many millions of commercial shipments — entering Canada annually. They collect, analyze and distribute information concerning people and goods at border points, air terminals and seaports. The agency’s internal recourse directorate handles complaints from the public. Other bodies, including the courts, the federal privacy commissioner and the Canadian International Trade Tribunal, examine various concerns about the agency’s work. The Liberals have taken steps to keep a closer eye on the border agency’s national-security activities by creating a special committee of parliamentarians to review federal security services and proposing a super-watchdog of civilian experts to complement that work. But the border agency is not overseen by a dedicated, independent review or complaints body, prompting civil libertarians, refugee lawyers and parliamentary committees to call for stronger arm’s-length monitoring. “We think by actually using an institution that already exists and building on that platform and expanding it, we’ll be able to move faster and it will actually be more cost-effective than if we started from the ground up with something completely new,” Goodale said. Scott Bardsley, a spokesman for Goodale, said there will be more to say about legislation to create the new agency in “the near future,” adding the government is confident it can see the changes through in the limited time before a fall election. MONTREAL — Environment Canada is maintaining its heavy rain warnings for many parts of Quebec today, keeping property owners near lakes and rivers on high alert for flooding. Water levels, already quite high, are expected to rise sharply with warm temperatures, snowmelt runoff and the heavy rainfall forecast through Saturday. Public safety officials say minor flooding has already occurred in the Montreal area, as well as the Outaouais, the Eastern Townships and central Quebec. 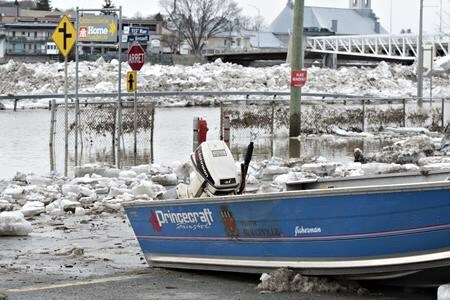 Earlier this week, the Chaudiere River burst its banks, flooding a large part of Beauceville, south of Quebec City. Officials there called it the worst flooding since 1971. Thomas Blanchet, a spokesman for the province’s public safety department, says they want residents to be ready for flooding that could come quickly this weekend, and are imploring them to follow the instructions of local officials. Blanchet says while there are no official evacuation orders currently in the province, some municipalities have issued preventative orders. Abe and Trudeau’s two-day meeting on April 27 and 28 will centre on the upcoming G20 summit in Osaka in late June, as well strengthening ties between the two countries. Trudeau’s office says in a statement the two will also discuss the revamped Trans-Pacific Partnership trade deal, which the PMO says has created opportunities in both countries. The Canadian and Japanese leaders are expected to address the media after holding their bilateral meeting. The pair most recently spoke at the Asia-Pacific Economic Cooperation leaders’ meeting in Papua, New Guinea, last November. Abe’s upcoming visit to Canada is part of a week-long trip to Europe and North America that includes stops in the United States, France, Italy, Slovakia and Belgium, as Japan prepares to play host to the G20.